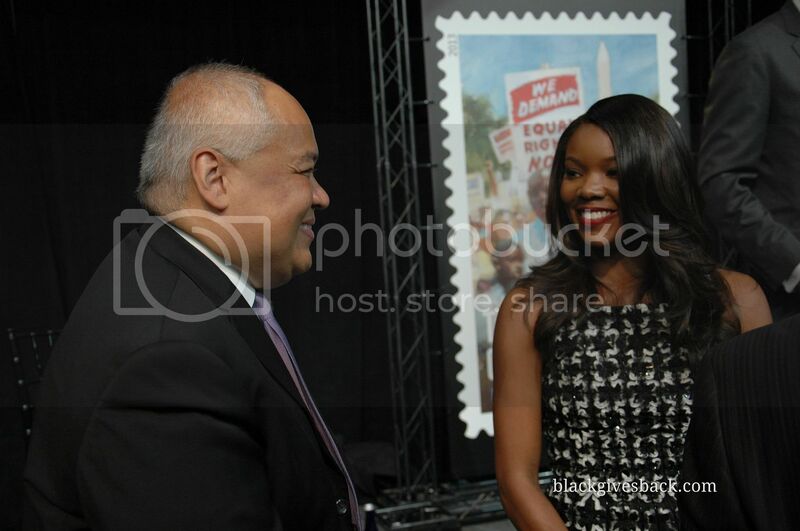 “Equality has a stamp of its own” as on Friday, August 23, 2013, the US Postal Service (USPS), with the help of Georgia Congressman and civil rights icon John Lewis and Actress Gabrielle Union, unveiled its’ “1963 March on Washington” (MOW) Forever Stamp at the Newseum in Washington, DC. The limited-edition commemorative stamp observing the march’s 50th Anniversary is the last in a trio, joining the “Rosa Parks” and the “150th Anniversary of the Emancipation Proclamation” versions that debuted earlier this year. At the first-day-of-issue ceremony held at the museum, remarks, gratitude and recollections of an era past were shared by Master of Ceremonies US District Judge Alexander Williams; Scott Williams, VP of Sales & Marketing, Newseum; and Wade Henderson, President & Chief Executive Officer, Leadership Conference on Civil Rights. 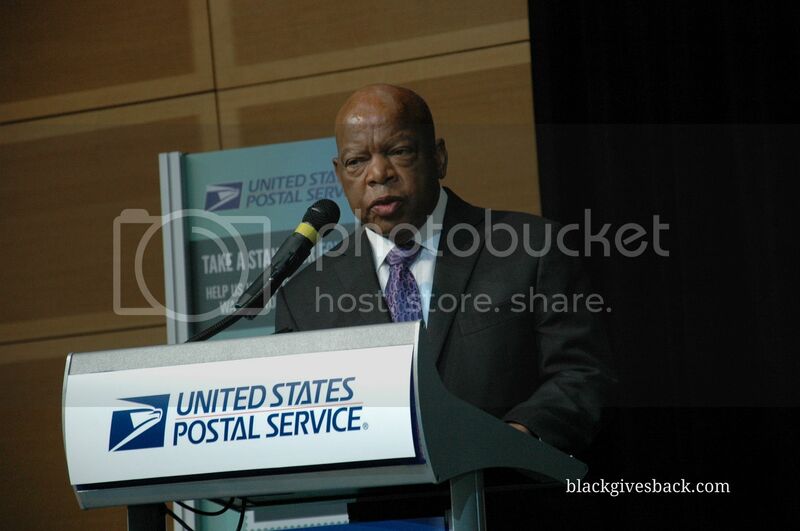 Congressman John Lewis speaks to the audience. Before Friday’s event, as a first of its kind effort, USPS encouraged interactive participation by asking those on social media to contribute to the stamp’s virtual artwork by adding a Facebook or Twitter profile photo as a pixel up until just moments before its’ issuance. 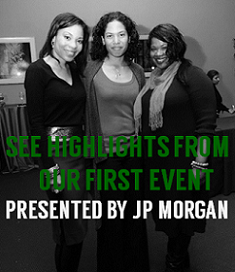 Friends and followers received a tweet or message from those in their networks who became part of the mosaic, inviting them to join the movement as well. 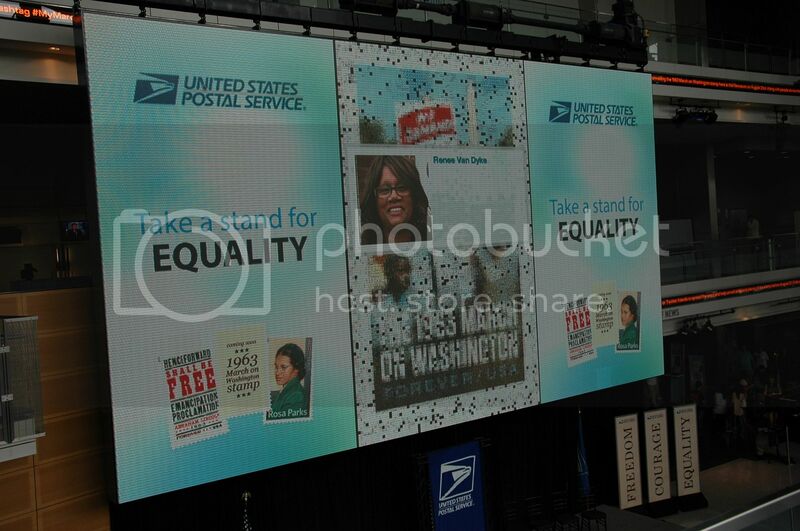 An interactive screen at the 1963 March on Washington Forever Stamp issuance ceremony shows a social media profile photo added to the stamp’s virtual mosaic. 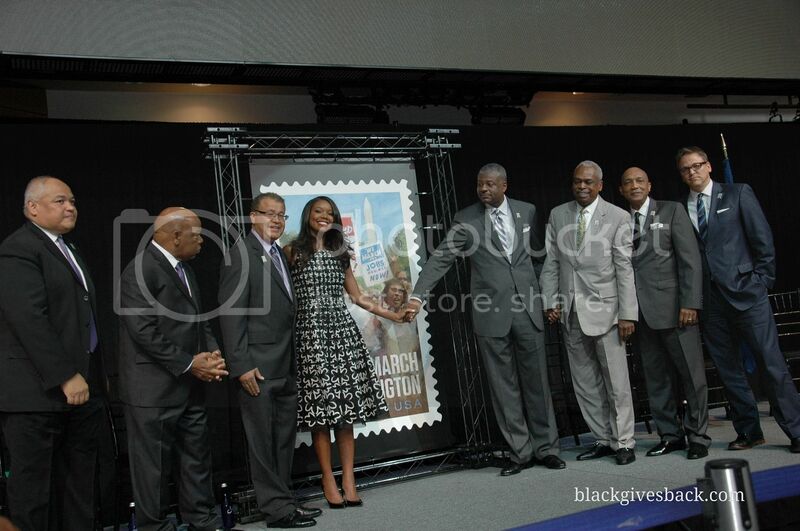 The stamp, under the art direction of Antonio Alcalá and created by artist Gregory Manchess, was then revealed by Ronald A. Stroman, Deputy Postmaster General, Lewis, Union, and others to the audience while concurrently being shown on USPS’ Facebook Page. To learn more about the USPS’s newest 1963 March On Washington stamp and the entire civil rights series, or to purchase, please visit usps.com/shop. 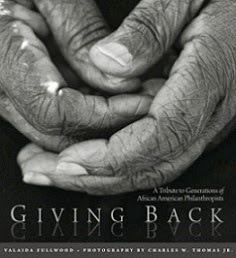 Story submitted by Stacey Trammel. Follow her on Twitter @Buzzology.